Where to Find A Business Loan With Bad Credit Score? The fact that you are here only means that either you are looking for funds to starts a new business, or bad credit is hanging over your shoulder and making every day a doomsday. You want to dip your hands in the stream of extra cash flow to supplement funding. So, cheer up! We are here to tell you how to find a bad credit business loan. According to FICO, if your credit score ranges from 300-629, unfortunately, you are camping under the shade of Poor Credit Score. Applying for a small business loan is a gloomy battle, but worth fighting for. There is a criterion set by the lenders involving annual revenue. If you meet the bar, only then you will be considered for the loan. Can you be trusted enough? Is your credit record straight and clean? How many payments have you made on time since you have been running a business? All of these factors are taken into account. Please be mindful that the lower your credit score is the higher the annual percentage interest rate will be. It includes all the interest rate and all the fees on the loan. Looking for a small business loan for your start-up? It is evident that you won’t be having a stellar credit score. In this case, your personal credit score will come at play. 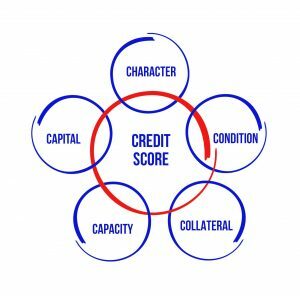 It is important to acknowledge the relationship between personal credit score and business loan approval. Another factor is to comprehend and understand the ups and downs of interest rate according to the score. Furthermore, weigh the pros and cons of alternative and traditional lenders. The most important factor is to acknowledge the total costs of small business loans which includes: APR, factor rate, closing cost, underwriting fee, origination fee, and down payment. Lastly, the goal is to make the best possible decision when it comes to financing. Make sure to evaluate your lender’s reputation apart from analyzing your eligibility requirements and repayments. Don’t let Bad Credit set your dreams on fire, use these small business loans and change the entire structure and repute of your business. Give your business a daily dose of cash flow using this loan, borrowed from the alternative lenders. It is the sum of the capital that the borrower agrees to pay back in the given and set time period. Looking for funding that can help you start-up a new or a small business? But won’t get approved because of the bad credit. Carry out your everyday operations such as wages, inventory and a couple of other costs that keeps your wagon running. These loans don’t work for heavy investment. This particular type of loan works like a credit card. The borrower will have continual access to the funds to keep the small business running. This business loan is unbiased in terms of bad credit. With this domain, you can use the equipment that is on your buy-list as collateral. The lenders will then focus on the collateral that you just provided and this will make them forget about the bad credit. The injection of cash flow with invoice factoring makes it easy for small business owners to meet payroll, carry out operating functions and business expansion, when necessary. If your Credit score is higher than 500, we have a couple of more options for you. We want to make you an informed decision so we aspire to provide you with every possible aid. Kabbage will loan you an amount ranging from $2.000 – $250,000. The APR will be 24% to 99%. The funding will take approx. a few minutes to several days depending you’re the loan type and other factors. The loan amount here ranges from $1,000 to $100,000. The claim to send you the money as fast as the next business day. You can pay their money back in the time period of 12 weeks. Just stay in business and be the best small business owner you can be, the fact you are here says that you are ready to change your bad/poor credit to good credit. For more information like this make sure to read our blogs, online. Don’t forget to follow us on Twitter (@Onlinecheck) and Facebook (@onlinecheck). Head over to our website and apply for a bad credit small business loan online. Call us on our toll-free number at (833) 827-4412 for any advice. Are you searching for a business loan but have a poor credit? Read on this article to know where you find a business loan with bad credit score.